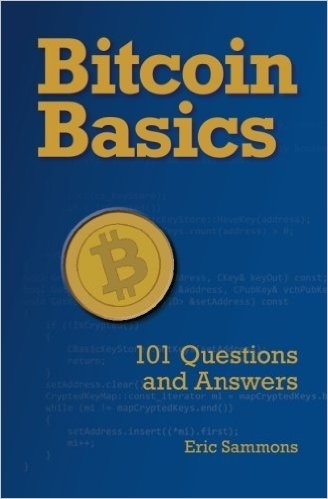 I’m excited to announce the publication of my latest book, Bitcoin Basics: 101 Questions and Answers. I’ve been interested in Bitcoin for a few years now, but unlike the media obsession with Bitcoin as a speculative investment, I have been fascinated by the technology and economics behind Bitcoin. As a payment network, Bitcoin is a technological marvel, allowing secure transfer of value without a trusted third-party. As a currency, Bitcoin upends the conventional wisdom of how modern currencies are supposed to work – it isn’t government-controlled, and it has a limited supply. However, I’ve found that most people are only vaguely aware of Bitcoin, and the little they know consists of half-truths and propaganda (either for or against). So I decided to write this short, easy-to-read book in order to answer the most common questions I’ve heard regarding the cryptocurrency. I think this book will help explain Bitcoin to the laymen, so if you are interested in Bitcoin, or know someone else who is, buy this book!